Chris Unsworth, author of The British Herring Industry 1900-1960, spoke about the forgotten story of Scottish women who migrated to England to work in the herring industry. 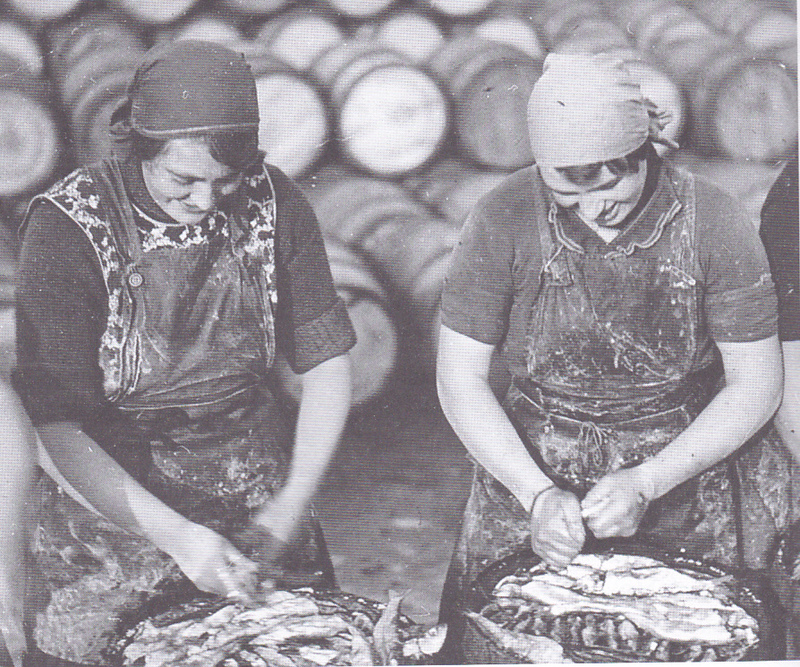 Every year from the 1880s to 1960s thousands of women went south from Scotland in the late summer and autumn to work in the fishing ports of North East and Eastern England, such as Seahouses and Great Yarmouth. They were brought by special chartered trains. This was tough outdoor work with the women often suffering from cuts and cold sores. As a workforce they were not unionised, but there was a spontaneous strike in the 1930s when the employers tried to impose a wage reduction. Chris was followed by Sandra Penaloza-Rice, co-odinator and co-funder of Migrant Support Migrants Manchester, who spoke about the position of migrant workers today, and how MSM is working to support them with education, cultural and other projects. After the speakers and a lively discussion, we enjoyed tea and cakes.